After falling in love with Brandy Clark’s Twelve Stories, Sunny Sweeney tapped Dave Brainard to produce Trophy, which grapples with misery and longing, tackling the well-worn themes with exciting twists and turns. Brainard works to nicely compliment Sweeney’s firecracker personality, giving us a sound far meatier than Clark’s, but in no way less sublime. Sweeney begs the bartender to reserve judgment and just “Pass The Pain” on the album’s brilliant steel-drenched opener, a decade-old neotraditional ballad she felt was potentially too country for a modern audience. She recorded the song, which features an assist from Trisha Yearwood, at the insistence of her rock-leaning father. I also love “Nothing Wrong With Texas,” another of the four tracks she and McKenna co-wrote for Trophy. The song, an ode to Sweeney’s home state, is an effortless fiddle and steel adorned mid-tempo ballad. Like “Trophy,” the rest of the album trends uptempo, with in-your-face barn burning honky-tonkers. “Better Bad Idea” is a moment of levity, which finds Sweeney on the prowl to be naughty, hoping her man can top the mischief she’s thinking up on her own. “Why People Change” is an excellent take on failed relationships, with Sweeney questioning why couples can drift apart. The lyric is well-written, and the engaging melody is nothing short of glorious. I haven’t been this richly satisfied with an album probably since Twelve Stories. With Trophy, Sweeney has crafted a whip-smart and mature record nodding to tradition while correctly pushing the genre forward. Trophy is what happens when everyone steps aside and puts the focus deservedly on the music, where it belongs. 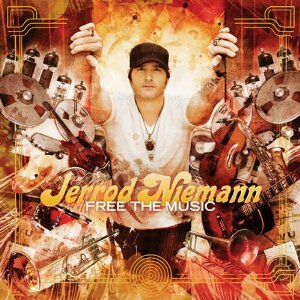 Since debuting with Judge Jerrod and the Hung Jury in 2010, Jerrod Niemann has rightfully earned his reputation as one of the genre’s strongest mainstream assets, someone who resects tradition but is modern enough to exist in the current marketplace. I loved his 2010 top 5 “What Do You Want From Me” so much, I couldn’t wait to dig in and see what Free The Music had in store. For someone who counts themselves among Lefty Frizzell’s biggest fans and opening admits to studying the history of country music back to the 1920s, I was taken aback at Niemann’s desire to push the limits with his new album Free The Music. The inclusion of R&B and Hip-Hop accents seems to go against his personal mantra and makes it difficult to believe his stance that he wants to be known as a country singer through and through. At its best, Free The Music is somewhat of a feel good album, as shown with the fabulous lead single “Shinin’ On Me.” But even though Niemann wants to party and have a good time, it’s always with purpose, like mending a broken heart. He exemplifies this best on “I’ll Have To Kill The Pain,” a horn heavy standout highlighting his every guy persona. The same is true for “It Won’t Matter Anymore” a lyrically amusing ode to letting go of taxing jobs and bad relationships in favor of kicking back on the beach. Both are excellent earworms showcasing Niemann’s lighter side, one of his stronger qualities as an artist, while the former begs to be released as a single. Niemann only gets trendy once on Free The Music and it comes courtesy of his co-write with Houston Phillips, “Real Women Drink Beer.” The market for beer centric tunes is overly saturated, while references to “denim on the rear” are a dime a dozen. But he manages to infuse the track with a Dwight Yoakam-like vocal sensibility and strict country arrangement that is actually endearing. In much the same way, it’s his vocal that rescues the jazzy “Honky Tonk Fever.” What could’ve been very cheesy is at least made interesting by his inflections and the way he uses his voice to play with the listener. Niemann and co-producer Dave Brainard do a wonderful job of utilizing the piano as well, using it to underscore the melodies and move each track along nicely. Another standout is the brilliant yet sonically progressive tour de force “Guessing Games,” a break up ballad where Niemann channels “Wicked Games” era Chris Isaak. The track is one of my favorites and easily the strongest lyric (Neimann co-wrote it with J.R. McCoy) on the album. I wish I could say the same for the soft rockish “Only God Could Love You More,” a fan favorite. The lyric and vocal are fine, but Niemann downplays the country elements of the track a bit too much for my taste. A better love song is “All About You” is duet with Colbie Caillat that gets the romanticism right despite falling into cliché territory with the coral line “It’s all about the way/You kiss me baby.” Like Jason Aldean and Kelly Clarkson’s duet, Niemann and Caillat’s voices blend well together on a much subtler song. The title track, more hip-hop than anything else, falls victim to similar non-country trappings although I do really like the chorus. It’s a cool sounding song, and I sort of understand his message about freeing music from constrictions, but overall it just doesn’t come together for me. I do love the last line – “If you’re sitting alone with a bottle of jack/listening for traditions skip to the next track.” That he understands, and even addresses the lack of country music on the song proves he understands balance, which is more than can be said for many of his peers. He’s also outside the country realm with “Get On Up,” but the cool funky vibe saves it from obscurity. The traditional song he references on the title track is the excellent “Whiskey Kinda Way,” the purest country song on the album. A 90s country throwback (but with horns in place of steel guitar), it’s one of the strongest mainstream lyrics released all year. I wish “Fraction of a Man” Niemann’s self penned introspective closing track was much the same, but I can’t get passed the song’s jarring structure and enjoy the lyric underneath. But more than the songs themselves, it’s the inclusion of horns that’s going to make Free The Music polarizing to the listener hoping for more steel in the mix. They don’t bother me, as they help much more than hinder the overall sound of the album. At its best, Free The Music is a strong album ripe with interestingly crafted and complete songs. Niemann may push the boundaries of tradition, but he does it in a way that’s not only cool but also thoroughly enjoyable.